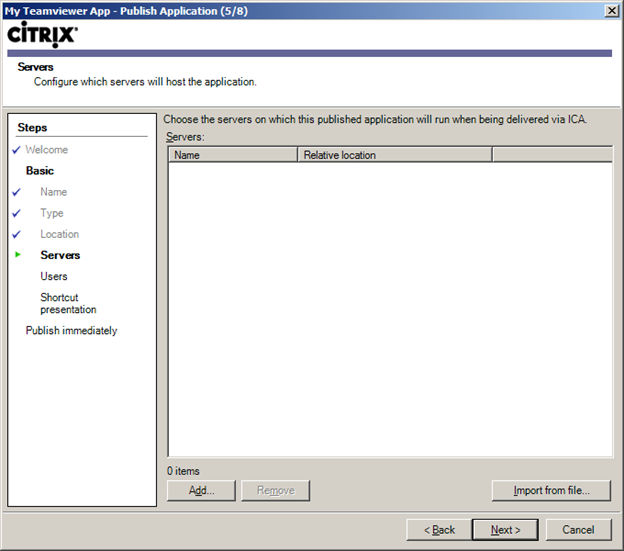 After installing the application, we now are ready to publish it so that users can connect to it and use it. 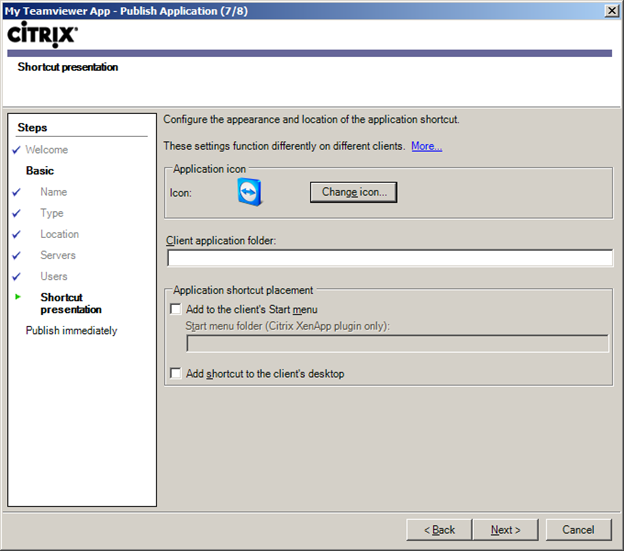 In AppCenter -> Citrix Resources -> XenApp -> Applications – Right-click Publish application. At Welcome screen click Next. 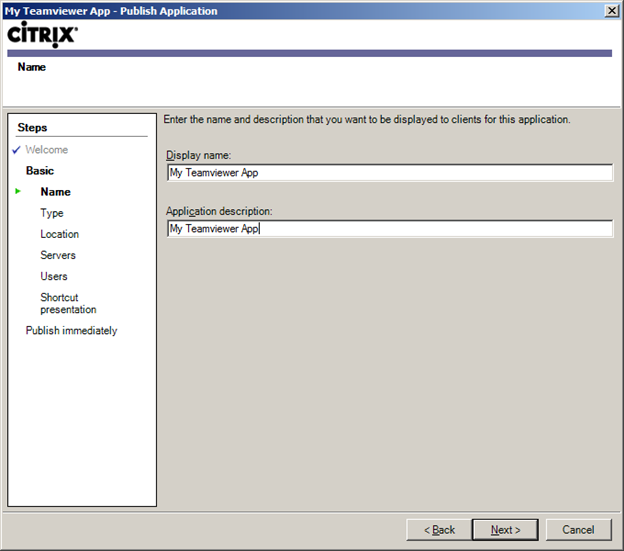 Display Name: Type “My TeamViewer”. Click Next. 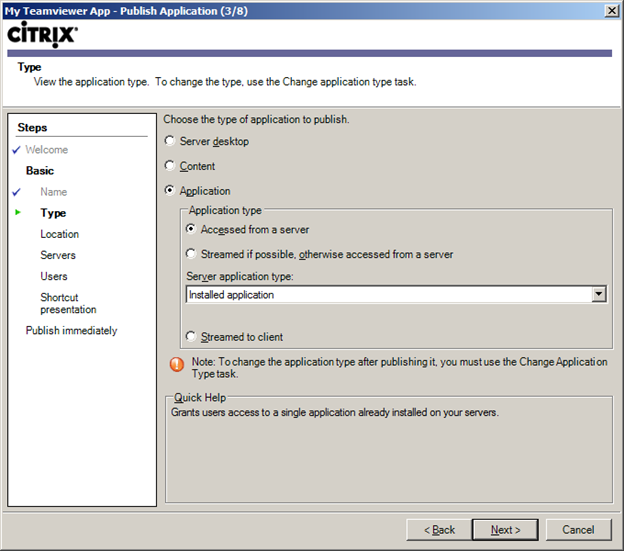 Choose Type of application to publish. 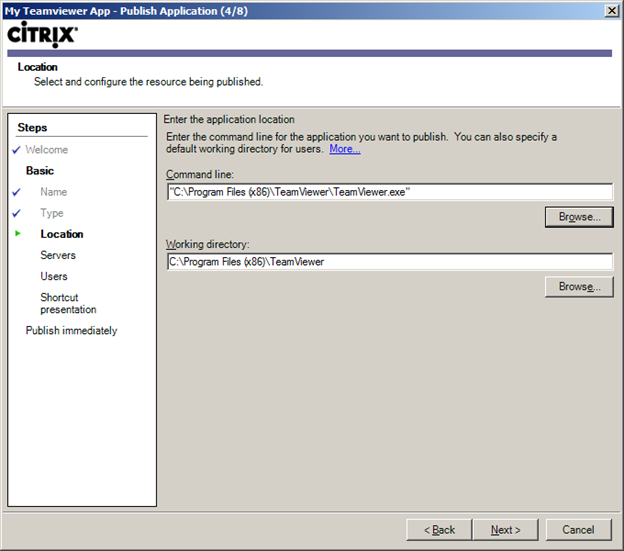 We can publish server desktop, contents (can save if local drive is mapped), and applications. In this case we choose Applications. 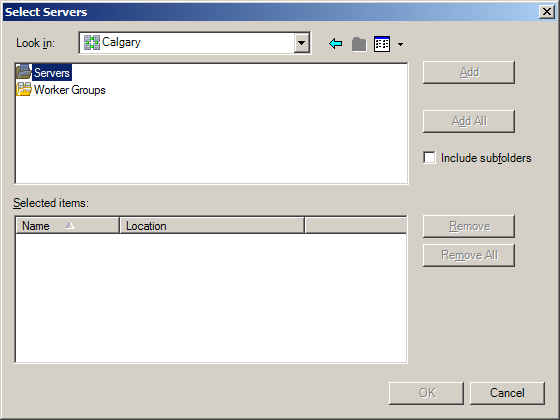 Also choose Installed application in the drop-down list. Click Next. 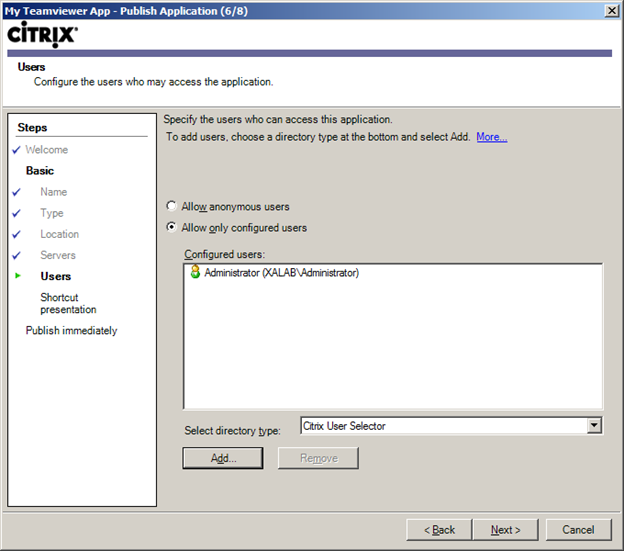 Click Allow Anonymous users or you can allow only configured users. 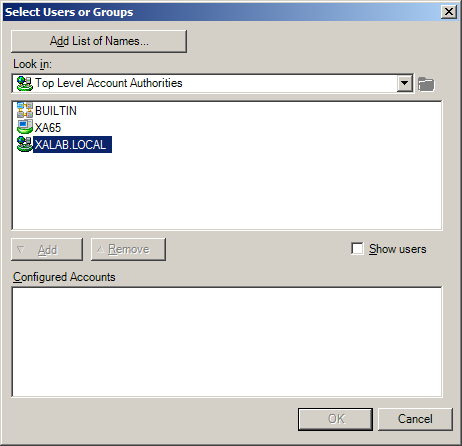 In this case, I choose Allow only Configured users. 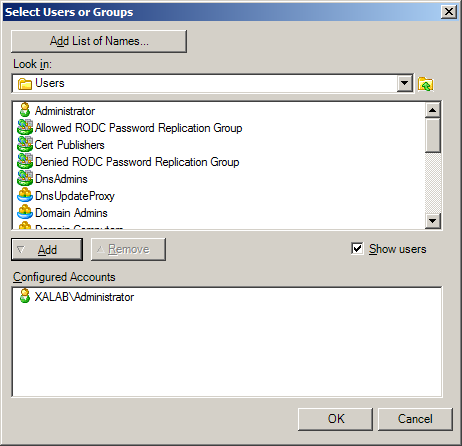 Add Administrator from XENAPP.LOCAL domain. 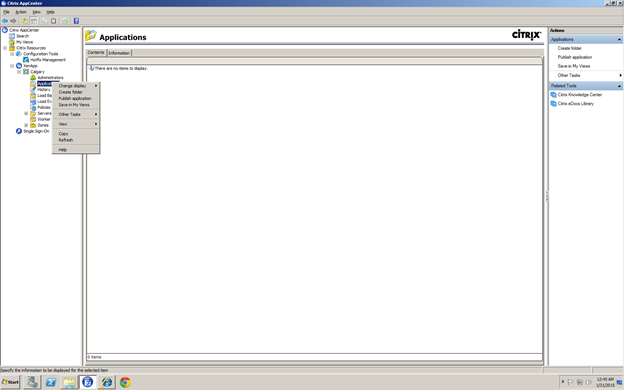 This is the domain admin account. Click Add. 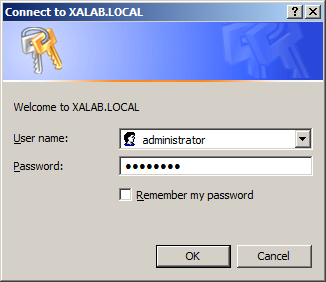 Double-click XALAB.LOCAL. You might have to click on “Show Users” to see the user list. Click Add. 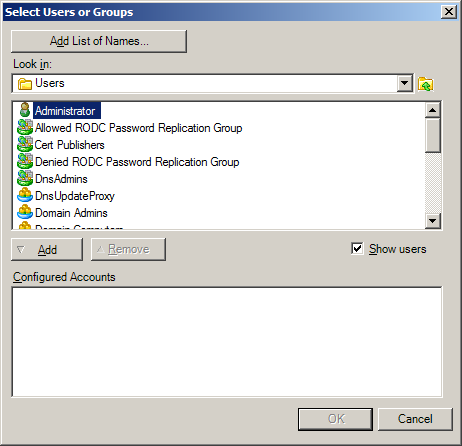 Enter credentials to browse the domain resource. Choose Application Icon if you’d like. Client Application Folder: Utilities. 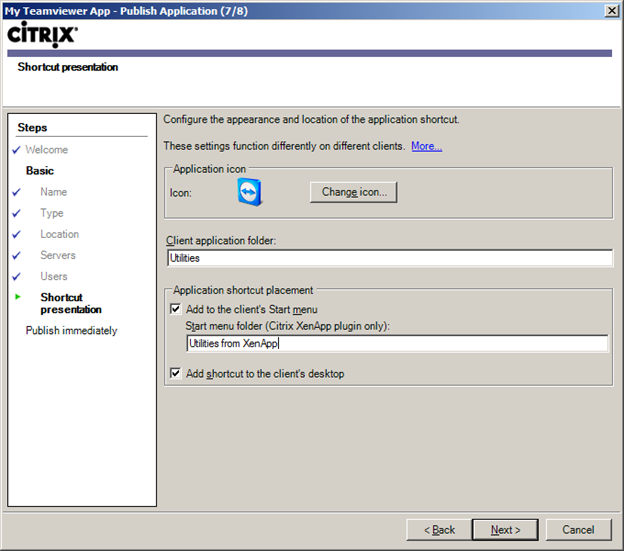 Add shortcuts to client desktop and Start menu. 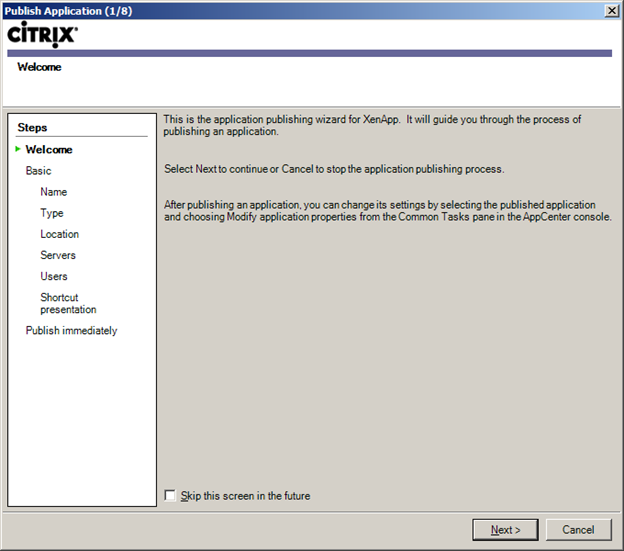 (Call it “Utilities from XenApp”). Click Next. 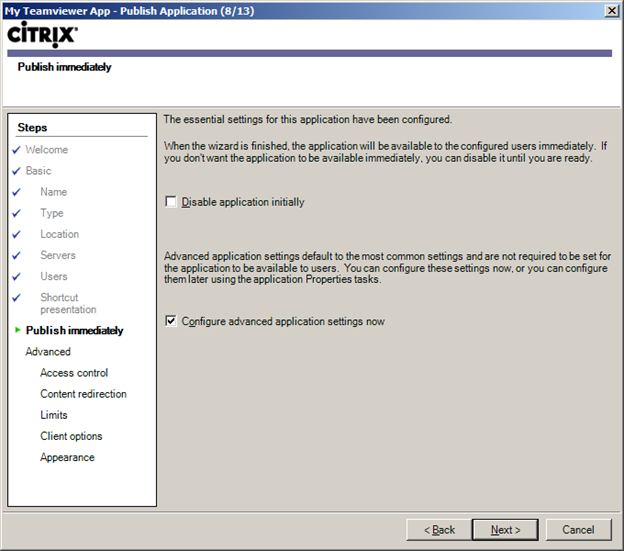 Click configure Advanced settings then Click Next. 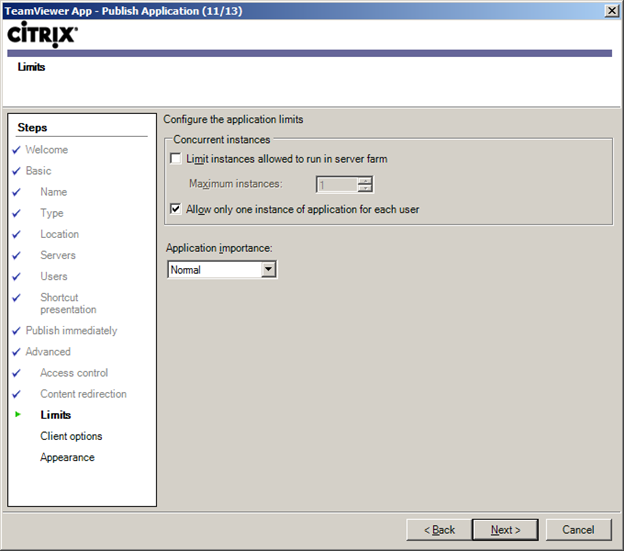 Click Configure Advanced application settings now. Next. Allow connections made through Access Advanced Edition. Click Any connection radio button. 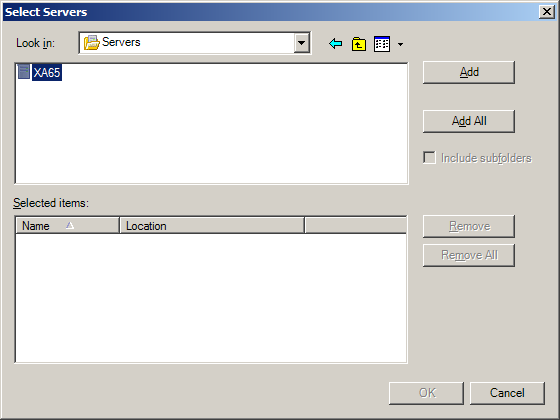 Also click the Checkbox “Allow all other connection.” Click Next. 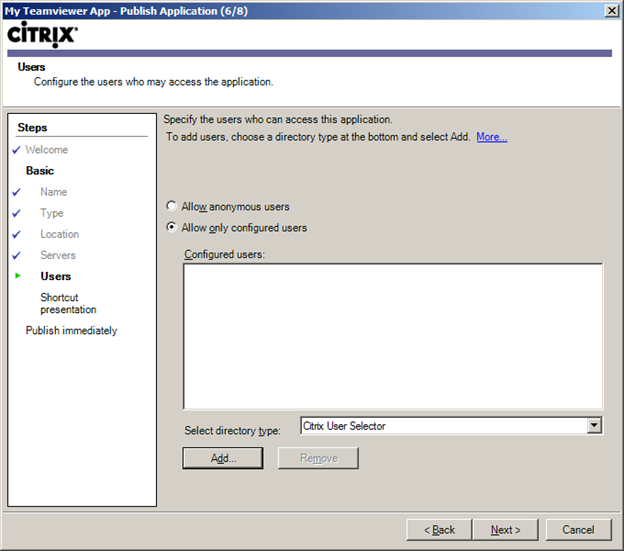 Limit: Check box on Allow only one instance of application for each user. 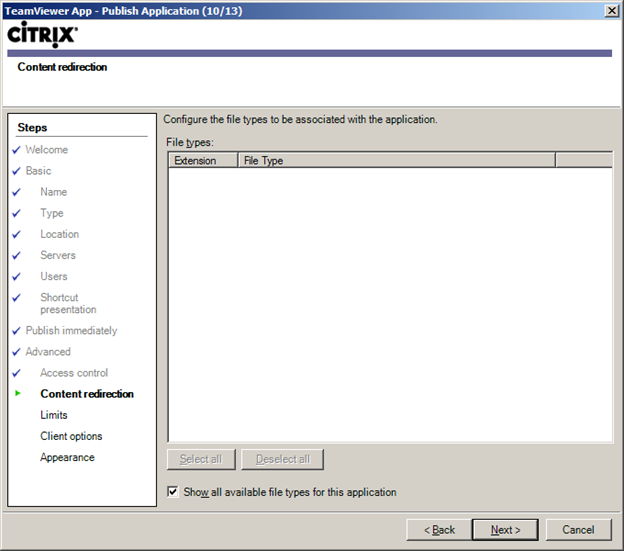 (This is a good practice for the XenApp far to prevent users from clicking the app many times causing resource issue). 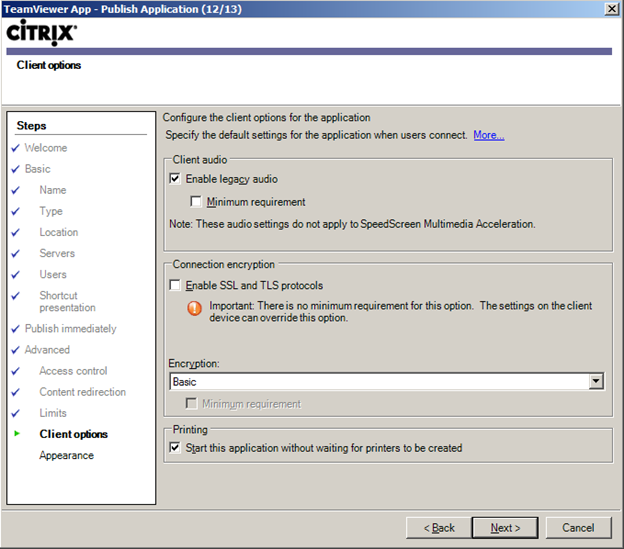 Client Options: Enable Legacy Audio, click Minumim Requirement. 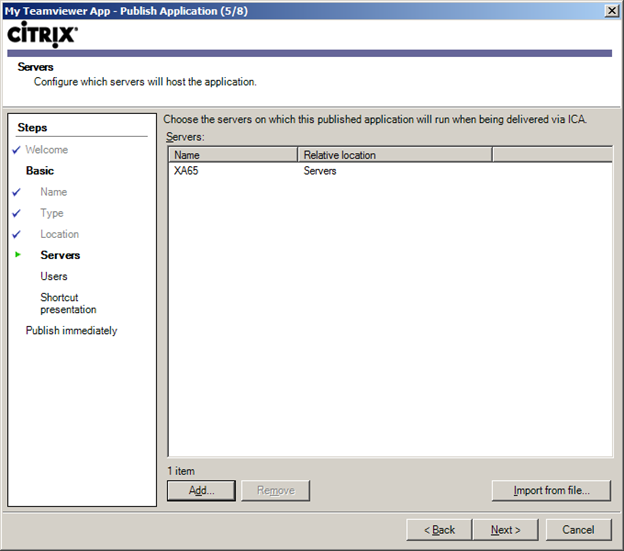 Encryption: Basic (If SSL you need to choose a Certificate). Click Next. 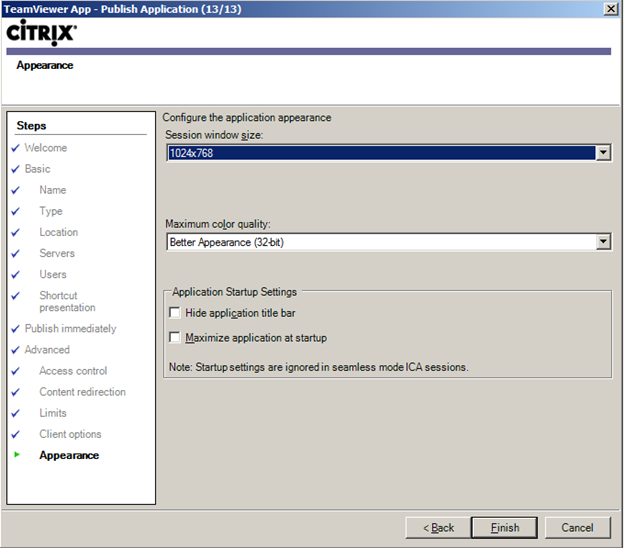 Choose Session Window Size and Color Quality. Do not Hide or maximize. Click Finish.